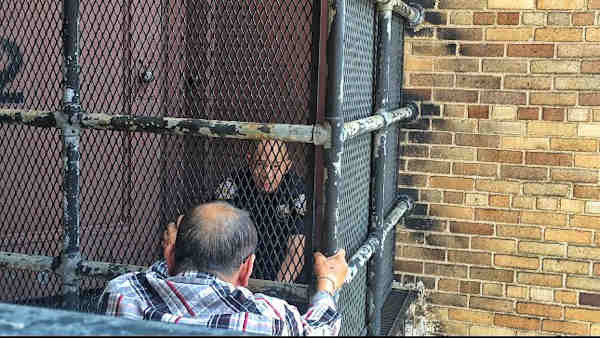 FLUSHING, Queens (WABC) -- A despondent 73-year-old man talked out of committing suicide from a Tribeca building is accused of killing his girlfriend in Flushing. The man climbed out the window of his lawyer's office on the 22nd floor of 401 Broadway at around 2:15 p.m. Wednesday afternoon. During an ensuing four-hour standoff, a Mandarin-speaking New York City Police officer helped translate and eventually helped talk him to safety. The man, who was at his lawyer's office when he attempted the suicide, was taken to Bellevue Hospital for psychiatric evaluation. He is suspected of killing 61-year-old Huizhen Zhan. Her body was found in her home on 65th Avenue about 7:15 p.m. Monday. An autopsy determined she was killed by a fatal blow to the head.